Spring has well and truly arrived! There is no better way to celebrate it than injecting some Indian fusion into my wardrobe. I love the Indian style whether its stunning clothes or fabulous jewellery. The vibrant colour’s that represent the Indian fashion world are so beautiful. 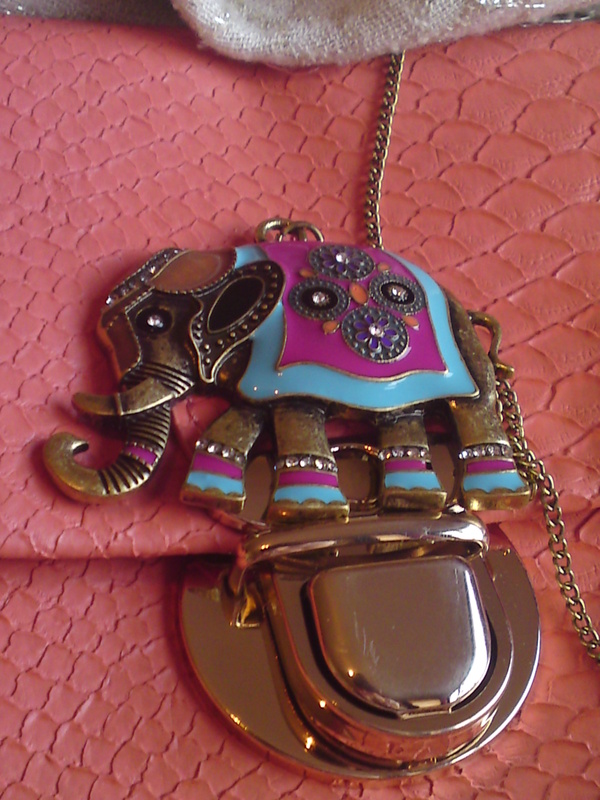 I got a pretty elephant necklace and coral clutch bag from New Look. I’ve a friend’s birthday tonight and the dress code is smart casual so I’m thinking this bag and necklace will be the perfect accessories. However, in this post I am going to talk about the necklace. 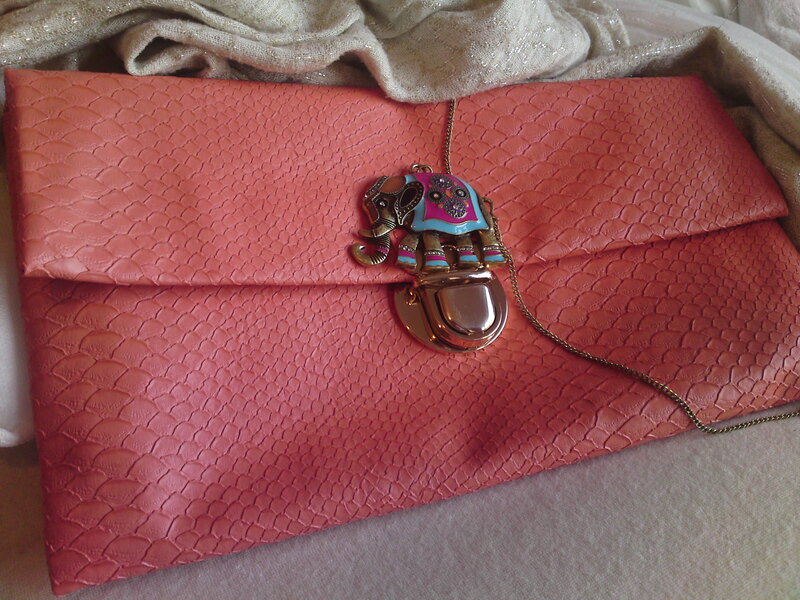 I love the stunning pink and turquoise colour’s in it. I think that the burnt gold makes them pop against it. And the detailing within the pendent adds some movement. I can’t wait to wear it through Spring and Summer. Have you ladies started your Spring shopping yet? There are so many fabulous trends in the high street at the minute so get shopping! Hope you’re all having a great weekend. I’ll hopefully upload an image of my outfit that I’m wearing tonight soon.